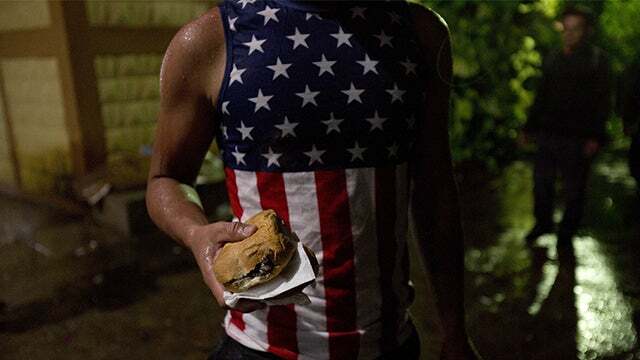 Who’s Feeding the People on the Honduran Caravan? 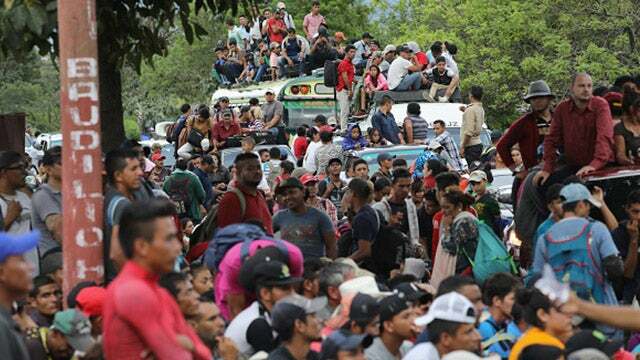 RUSH: Can I ask a question about this caravan? We've got this caravan. Have you seen the pictures of this caravan, these people coming in from Honduras? I mean, it is massive! It an invasion! It is a flat-out invasion, and there's only one guy talking about stopping it, and that's Trump. Of course, he's being castigated as mean-spirited and cold-hearted for this. In fact, he tweeted: "Hard to believe that with thousands of people from South of the Border, walking unimpeded toward our country in the form of large Caravans, that the Democrats won’t approve legislation that will allow laws for the protection of our country. Great Midterm issue for Republicans!" and it is. This illegal immigration's what got Trump elected. It remains a seminal issue. The Republicans running for reelection or election need to keep harping on this. But my question about this caravan: Who is feeding these people? They have to eat. This is a long walk. This is the Honduran version of Trail of Tears, right? Who is feeding these people? Where are they bathing? Where are they showering? They've been doing this for a week now. They are coming here ostensibly to escape poverty. Well, who is feeding them along the way? Who is providing, what shall we say, hygienic services? Where all these people going to the bathroom? Somebody has to have planned for this. This kind of thing as a spontaneous combustion-type event? They wouldn't have made this this far if there weren't somebody feeding them and if there weren't services for them along the way. And I want to know who it is.